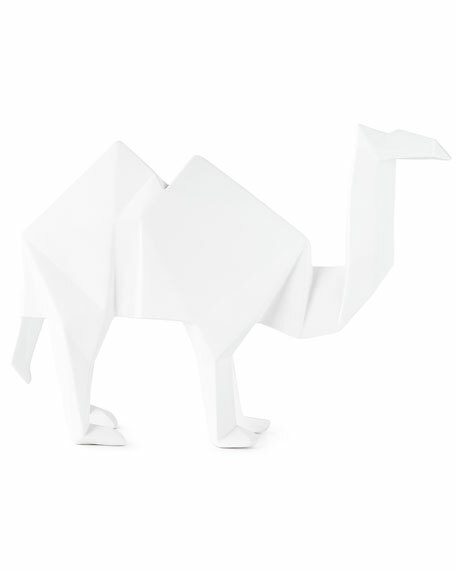 Modern faceted sculptural camel, constructed of a matte white ceramic to give this ancient animal a modernized appeal. Great decoration for bookshelf or desk. Could even hang bracelets and necklaces from for your jewelry collection. Handcrafted ceramic camel accent piece. 17.7"W x 6"D x 12.5"T.